Adam ‘Pez’ Perry is the host of the Twitch-broadcast You Game Bro? podcast, and founder of the Australasian Gaming Podcast Network. 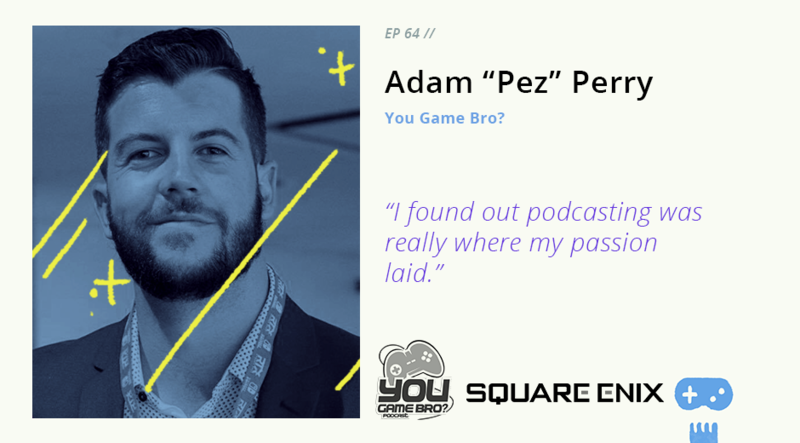 Pez’s broadcasting work has led to him securing brand ambassador roles with Lenovo and Intel in Australia and New Zealand, and allowed him to land major sponsorships to support the ongoing creation of the You Game Bro? podcast. Join Pez and your host Jason Imms as they discuss the benefits and challenges of one-on-one interview-based podcasts, passion-driven media work, and life on the ground as a community manager for Final Fantasy XIV in ANZ.